A few months ago I was surprised and pleased at the same time to receive a complimentary book from Wiley in my mailbox. I was wondering why – maybe because this blog is meant for MBA students (something mentioned on the back cover) and I wrote many posts about BRICS countries? Well actually it was the result of a participation to a monthly competition at Business Because – so you too you can participate and win! And thanks, Business Because, for the very interesting book! Here are the technical details about the book: “BRICS and BEYOND” by Stephanie Jones, Wiley 2012, ISBN 978-1-119-96269-4 (also available as e-book). Dr Stephanie Jones is Associate Professor of Organizational Behavior at Maastricht School of Management. She lived and worked around the world (Hong Kong, China, India, Australia, Dubai and Kuwait according to her bio) and has therefore a good background to write this book. The first thing that strikes with this book is its cover: it basically states that every step of a product life cycle is now happening outside the US or the EU (except consumption perhaps). The Vlerick Business School curriculum is not really focused on BRICS (nor emerging markets). However the full-time MBA has lots of participants coming from these countries. And even in the executive MBA (with mainly Belgians), there is (in my opinion) a certain interest in these countries (it is sufficient to mention that the study trip to China is fully booked in a few minutes …). And Western MBA students are clearly the target population of this book. The structure of the book is somewhat classical. There are tree main parts: risks, opportunities and practise. You will be able to make links with – or more appropriately: make extensions of – several classes taught at Vlerick (and in all MBAs): CSR, marketing, entrepreneurship, innovation, strategy, operations, etc. But don’t expect to find any 2-by-2 matrices: this book is more about learning from experience than applying glossy frameworks. You can read the second cover and you will have very quickly 8 “must-know” sentences. You can read “Executive Lessons” at the end of each chapter and you know a bit more. Or you can just read one chapter you fancy at a time, on a specific topic – and there you go. (and of course you can take some time and read it from the first page to the last one). Something I also appreciated in the book is to have many practical “mini cases” (called “brief worked examples”). They illustrate each of the lessons detailes in the previous chapter. Very often MBA textbooks explain theory and concepts in great details but fail to deliver very practical examples you can relate to in your everyday life. Not here. This is again another illustration of the power of storytelling. Some regrets? Although corruption and bribery is covered, there is nothing about regular finance and accounting. The topic is obviously very technical and vary in each emerging market. But you better know it before. And the author may have struggled to give a balance in the different countries to discuss. China and India indeed occupy the majority of examples. This is obviously normal as they enjoy great economic powers and a large part of the world population. However BRICS and emerging markets deal with other countries too. Most of these other countries are cited in one or several examples here and there – but at the end of the book the reader should expect to know more on India and China than Congo or Brazil for instance. In a nutshell? 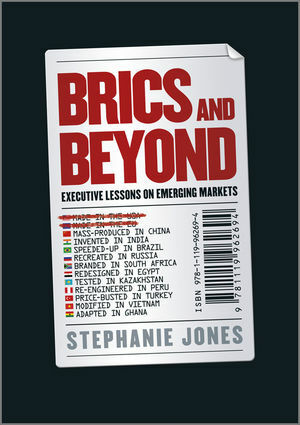 “BRICS and Beyond” is a book you will enjoy reading if you are interested in emerging markets. It will give you an interesting introduction as well as key points to focus on when doing business there. And it will be complemented by more specialised reading (e.g. targeting a country or a topic specifically) but more importantly by your own experience! 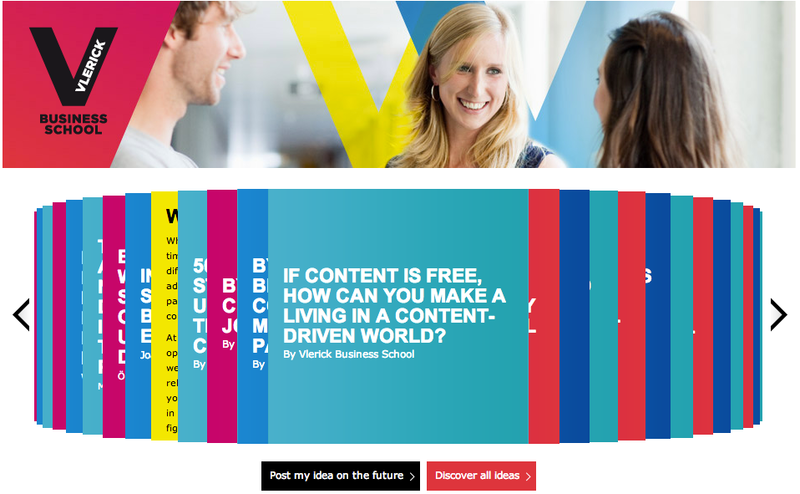 Welcome to Daniel and Miguel in the Vlerick blogosphere! I often ranted about the (relative) absence of Vlerick MBA students in blogs, twitter, etc. This year it seems the school did a special effort to recruit bloggers and/or that more MBA students are aware they can blog. The result is that, on top of Robert (FTMBA), Daniel (FTMBA) and Miguel (EMBA) joined the official Vlerick blog platform as well. A warm welcome to them – they started with a bang: 3 posts already in February 2013! … there is even a kind of 2-by-2 matrix! This second year in the EMBA at Vlerick Business School it seems that the point is more on innovation (somewhat like the focus was on finance during the first year). We had classes like Entrepreneurship (last year – pretty straightforward title) or Innovation Management this year. But even in courses like Operation Management or – more recently – Integrated E-Supply Management, we are faced with handling innovation. I don’t know for you but very often I think the word innovation is over-used and also in any kind of situation (i.e. very often for something not innovative at all). So I was a bit apprehensive when I read that the course of Integrated e-supply management would – again – talk about how to innovate / embrace innovation / whatever (but fortunately very little about Apple). But I must say that the two sessions were so far very interesting, Prof. Steve Muylle sharing his passion for the “e” in e-supply. As if it was meant to illustrate that, getting Prof. Muylle’s article on planning e-business initiatives in established companies is an example of a clash between the old model and the new one … In the old publishing model, you had a subscription to a journal and you received your quarterly paper version delivered by your postman. I don’t know what will be the level 3 of e-publishing but right now the article is just available behind MIT’s paywall ($6.50). But Google (and any kind of search engine in fact) is disrupting this model by presenting you any result containing words in the title of the paper. It may happen that some results are not entirely relevant to your initial search but it may also happen that the electronic version of the paper is available somewhere, archived by some Irish professor for his class. One can argue that this is theft! And they would be right: the paper’s copyright clearly states no one can copy it. But others could state that it’s just a collection of 0’s and 1’s, that it has a meaning because we are giving a meaning to it, that taxpayers’money paid for this research etc. This reminds me of one of the posters that is now hanging in the Vlerick campus: “If content is free, how can you make a living in a content-driven world?“.